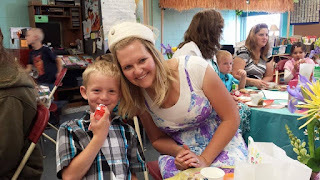 Trip's kindergarten class did a Mother's Day tea party. 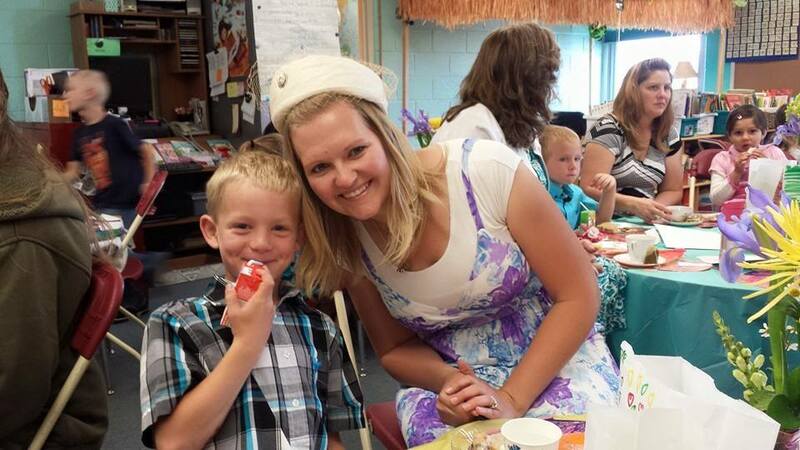 Trip was severely embarrassed when I showed up in my tea party hat!! Every time he sees this picture he asks me why I wore that hat! I barely made it there too, I had a flat tire all the way there, but luckily Tyrel was almost back in town so he came straight to the school and took care of it for me!